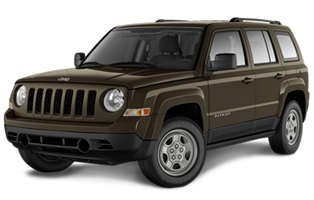 The Jeep Patriot (MK) is a compact crossover SUV introduced in early 2007 by Jeep. It debuted publicly in April 2006 at the New York Auto Show along with the same MK platform Compass. The two are essentially the same except the Freedom Drive II (FDII) package is only available on the Patriot making the Patriot the most expensive vehicle built on the MK platform. Up until the introduction of Jeep Renegade in 2015, the Patriot remained Jeep’s lowest-level entry, and still remains one of the lowest priced SUV-styled crossovers in North America to date (it is by far the lowest-priced new SUV sold in Canada). The Patriot and the Compass are slated to be phased out by 2018 and be replaced by an SUV with one of the two models’ names.